Reach and impact are at the core of PILOT — a program that gives promising biomedical sciences students opportunities to teach and do original research — and has earned a College of Medicine faculty member university recognition for his innovation. Dr. Robert Borgon, associate professor of medicine at the Burnett School of Biomedical Sciences, received the Marchioli Collective Impact Innovation Award on Nov. 6. The award honors faculty or staff members for innovative initiatives that align with the university’s Collective Impact Strategic Plan. PILOT (Peer Instruction and Laboratory Occupational Training) gives undergraduate students experiences typically afforded only to graduate students. Some 360 students – about 30 per semester — have gone through the program since it began in 2009. Borgon leads the program with Burnett faculty members Dr. Ken Teter and Nicole Verity. PILOT students serve as teaching assistants for the Quantitative Biological Methods class – a large, required course at Burnett. They also get the opportunity to design and conduct independent research projects to get hands-on scientific training. Many have gone on to present their research state-wide and have won undergraduate research awards. In presenting the award, Dr. Deborah German, vice president for health affairs and dean of the medical school, said PILOT helps address the university’s strategic initiative to provide unique experiences to every student despite high student- faculty ratios. Former PILOT student Haley Lehew is a senior who researches Alzheimer’s disease and now mentors a cohort of other students in the program. She says PILOT not only helped her discover her passion for research, but confirmed her dream of becoming a physician scientist. Borgon says the program provides students with a “high impact experience” that can help them as they pursue their careers. “Students get unique teaching and research experiences to add to their CV which is very beneficial for medical school and graduate school applications. It’s is also equally beneficial to faculty who get teaching assistance and also learn new ideas from the students on how to improve the course,” he says. Breven Gaines, a second-year Ph.D. student at the Burnett School, attributes most of her success to Borgon and the PILOT program. She is the recipient of a highly competitive doctoral fellowship from UCF’s Office of Research and is currently researching a cure for tuberculosis with College of Medicine faculty member, Dr. Kyle Rohde. Borgon hopes to see similar programs started at other UCF colleges with large enrollments. 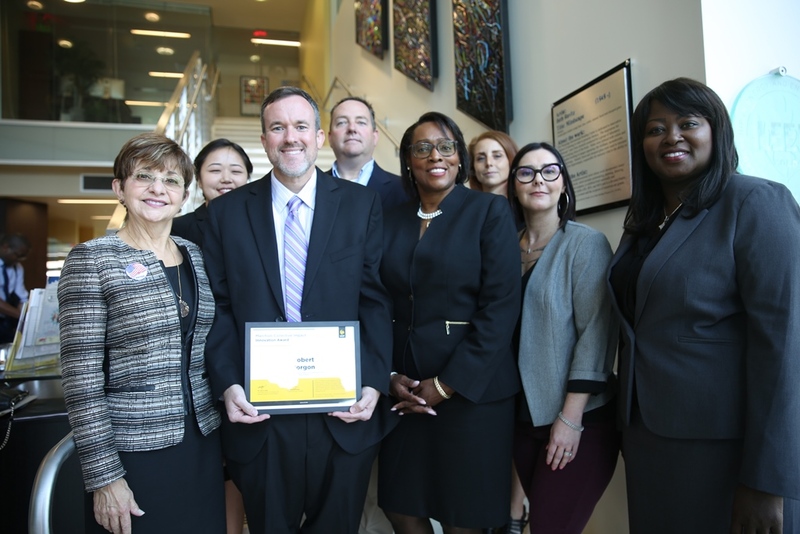 “If we are reaching 30 students each semester, and someone else can reach another 15 or 20 and we can keep scaling it up, maybe we can reach that goal of providing high impact experience for every UCF student,” he says.